As if there aren’t enough reasons why the Penny Arcade Expo is awesome, Nintendo will be selling a total of 404 copies of The Wonderful 101 at their retail booth at PAX Prime. That’s two weeks in advance of the game’s official release. Every day of the convention, 101 copies will be available for purchase on a first-come, first-serve basis, hence the odd 404 quantity. Their retail booth will be on the fourth floor of the Washington Convention Center in the South Lobby. This news is released alongside the announcement of The Wonderful 101 panel being held at PAX Prime. Platinum Games creative director, Hideki Kamiya, will be hosting it and sharing his insights on the game. The Wonderful 101 puts you in the shoes of the super agents of the Wonderful 100 (pronounced One-Double-O). They protect the planet from alien invasions, which apparently is a regularly-occurring problem if they needed a government agency devoted solely to that task. Like the Power Rangers, agents transform into their Wonderful 100 personas when they are called into action. Once transformed, they can create temporary giant weapons like a giant fist or a sword by merging other agents into the weapon. The more agents you have merged into the weapon, the more powerful the weapon becomes. 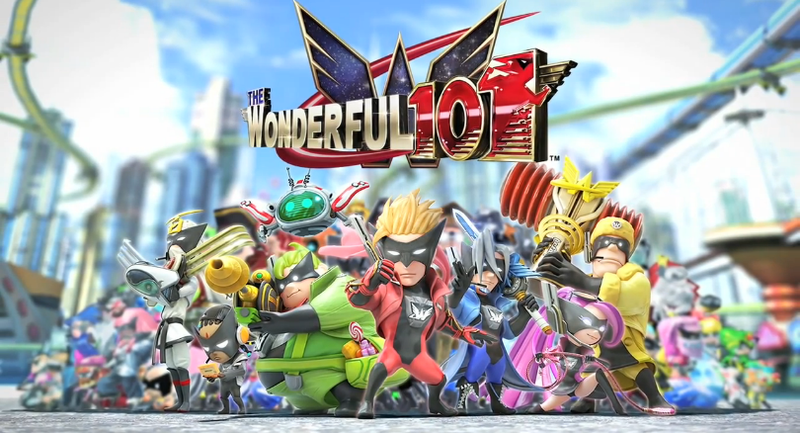 The Wonderful 101 officially releases on September 15 in the US for the Wii U. Europe will get their version on August 23, while Japan and Australia get it on August 24. The sold out PAX Prime goes from August 29 through September 2 in Seattle.